Note: Our Covermates offset umbrella covers are specifically made to cover offset umbrellas with side poles. These umbrellas, when closed, rest next to the arm that holds them and the pole that holds the arm so that our offset umbrella covers can be used to cover the entire unit. There's a heavy duty rust-proof nylon zipper that runs the length of the umbrella cover, making it easy to put on and take off, plus a helpful wand to lift the cover over the umbrella. A mesh vent sewn into the side allows air to circulate while keeping your patio umbrella clean and dry. 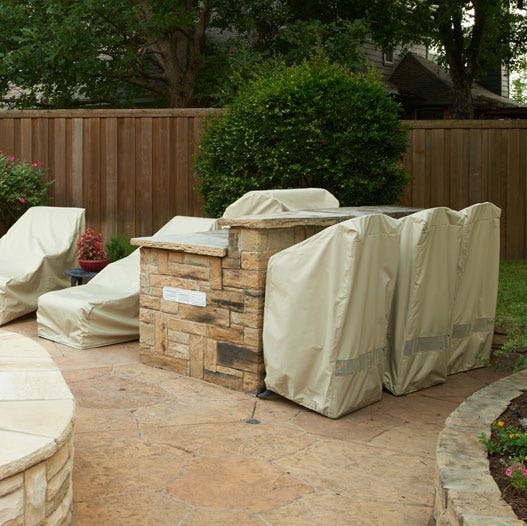 Elite patio umbrella covers are backed by a three-year manufacturer's warranty. Don't forget to check out our patio table covers that will compliment your patio umbrella covers! This is such a well designed and sturdy cover for my umbrellas. It also has a long zipper which is great. Highly recommend this. Third time I've dealt with Coverstore - very pleased.Ordered this cover to replace the one originally supplied by the manufacturer. Fit and construction were great! Good color. This is a strong, sturdy, well made cover. So happy with this product. Don't yet know about the functionality of the cover, but it seems to be well-made and is easy enough to use. I'm glad a pole was included, although it could be sturdier. The cover is much too long for the umbrella, but no other size was offered for the cantilevered model. Good quality, good price, timely delivery. I had ordered the wrong umbrella cover but customer service handled the situation quickly and easily. We appreciate their Great customer service!! I've been using your covers for a decade in Southwest Idaho weather. The covers fit well, wear well & look good. Good service & attention to details. Thank you! well made with good material. my second purchase from coverstore. if this is like the first purchase, it will last for years. very pleased with products. Great service and fast delivery. The product looks great. Let you know in the spring how it wintered. We received a fast shipment and the umbrella cover is of heavy material and completely covers our 15' umbrella. I was also able to use PayPal as a method of payment. Great service! Beautiful cover! It's a little hard to get the cover on by myself. The cover fit perfectly. It was easy to put on and protects the patio heater from rain and wind. I recommend it to anyone looking for a quality cover. we are very happy with the look of this cover and how it fits. seems to be made well, but it is a little hard to put over the umbrella. we will have to see how it holds up to the elements. Excellent material. I wish that it was easier to place on the umbrella. great product. we love it! we absolutely love these covers! they fit easily, the cinched base means everything gets covered, and they hold up very well in the strong southern sun, while protecting the furniture underneath. highly recommend! Very happy with cover and service. Much better quality than the cover that came with the costco umbrella. I do agree that the cover is a bit difficult to take off and put on. I had to buy a small step stool to remedy that. If they extended the zipper a bit higher it wouldn't be an issue. excellent product, but needs a better method to get the cover to go over the top of the umbrella. The stick you provide is basically useless.Cantilevered umbrellas are much taller than regular ones. I had to use a ladder to get the cover over the top. got to my home in excellent condition and on time , cover was good quality as expected, comparable price, what more could you ask for! Great product! Good fit - easy to install and remove. Khaki color blends into our landscape. 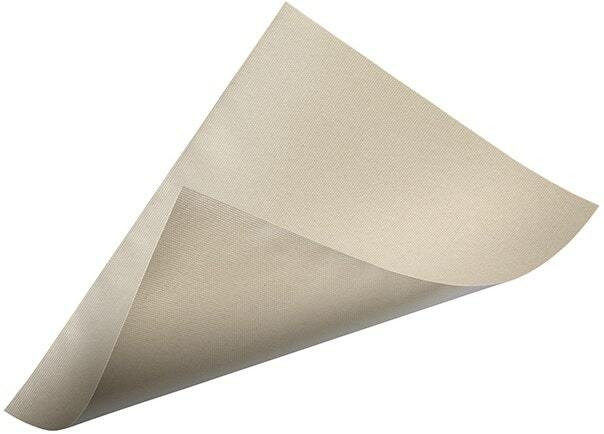 Coated Polyester fabric and double-stitched seams are strong and will withstand wind, rain and sun. Recommended for cantilever umbrellas. It is perfect. Good construction and material. Plenty of room. The umbrella cover arrived very quickly and is a very good quality. I only wish the wand was longer as I still had to stand on a kitchen ladder to install it. I'm not that short at 5'4" but will have to get myself another piece of PVC to extend the length. Fitted very well and easy to put over my umbrella. Good Quality. The cover arrived as promised and fits perfectly. Excellent cover- size, shape and material were just what I needed. Only complaint is the need for a longer pole to lift the cover over the top of the umbrella pole. Another couple of PVC pipe sections in addition to what was sent would help. Umbrella is about 2 feet too long and maybe that was my fault for not looking more closely. I bought the Elite Polyester khaki color. Nice material and not stiff. It comes with an extension pole, which is a must have. It comes in sections and it stores inside a pocket of the cover before zipping it up. Draw string at the bottom too. A 3 year warranty isn't bad either. I bought one of these last year for my Sears Umbrella and liked it very well. Bought ANOTHER umbrella on closeout, so I bought ANOTHER Cover. Very nice design and strong fabric. Only issue is the pole is not nearly long enough. Fits perfect for cantilever umbrellas 10 to 13 feet Material looks durable. Perfect fit and great quality. Matches all our patio furniture covers. The Cover Store is the Best! This cantilever umbrella cover is the perfect size. Hard to find this large size. The vents and closures help to keep the cover on when super windy. Matches our other furniture overs. Great product! The cover is good quality and am very happy with it. Would have given 5 stars if the pole with it would have worked. You need a 7' pole or step ladder to put it on. I am 5'10" and with a 5' piece of pvc pipe I bought at lumber store I barely got it on. Otherwise the cover is good and works great.